The election is one week away. The media is focused on how Hurricane Sandy is going to affect politics, but I cannot get the deeds of two men, named Tyrone Woods and Glen Doherty, out of my mind. If you have not heard the names of these two men, I hope to remedy that with this post. Tyrone and Glen were American "contractors" working in Libya the night of September 11th, 2012. Both were former Navy SEALs and they were in Libya working for the CIA, tracking dangerous shoulder-fired surface to air missiles and making sure they did not fall into the wrong hands. They were stationed at a CIA annex station one mile from the U.S. Consulate when the attack began at 9:40 P.M. Reportedly, they had no weapons. Moreover, their job in Libya was not to provide security for the Ambassador. Yet, they reportedly requested permission twice to go to the aid of the Ambassador and those under siege at the Consulate. According to reports, permission was denied twice. They went anyway. They made their way to the consulate and picked up the weapons that had been discarded by the Libyan guards that had run when the attack began. They exchanged fire with the attackers and established a defensive perimeter that allowed the remaining survivors in the Consulate to escape (reportedly 20 people). Diplomat Sean Smith was already dead and Ambassador Chris Stevens was missing. Tyrone and Glen returned to the CIA annex around 12:00 A.M. The attackers pursued and started firing on the annex. Tyrone and Glen took positions on the roof to defend the annex. There was another call for military support and that request was denied. The attackers surrounding the annex numbered between 100 and 200 coming in two waves. For four hours, Tyrone and Glen defended the annex without any help or support from U.S. military assets in the area. Reports indicate that between them, Tyrone and Glen killed 60 of the attacking force. Incredible. Two men. Sixty jihadists. Davy Crockett would be proud. One manned a heavy machine gun and the other a laser pointer targeting the attacking mortar team for any close air support that might come in response to their plea. That air support never came. At 4:00 A.M. both Tyrone and Glen were killed when a mortar round exploded near their position on the roof. The dust is still in the air from Benghazi, and I suspect in the coming days we will learn more details about who denied Tyrone’s and Glen's requests for help and why. We will judge whether those reasons are adequate or not. My point is not to make a political issue out of the deaths of two brave men. My point is to let their example inspire you to do something easy. What Tyrone and Glen did was unimaginable. What we are asked to do is very simple. We are being asked to vote. Twenty three million Americans are unemployed! America cannot survive another four years like the last four years. A word about immigration: many of you know that I spend a lot time promoting sensible immigration reform. In doing so, I work with both Democrats and Republicans, and some of my best friends are Democrats (shocking, I know). Many of them claim that Obama is the candidate to support sensible immigration reform, at least more so than Mitt Romney. I disagree. Obama had two years with a blank check on immigration reform (in the form of a majority Democrat House and Democrat Senate) and did absolutely nothing. I have every confidence his record will be the same if he wins a second term. Moreover, immigration is not the critical issue of this election. Immigration takes a back seat to all of those mentioned above. This truly is the most important Presidential election Americans have ever faced! Our choice is clear! 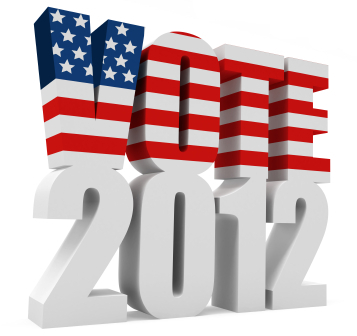 Please join me this year in voting a straight ticket for the GOP and Mitt Romney for President! May God decide to save America!